An impressive performance in the group stages of the 2017 Vodafone Fiji FACT saw Suva goalkeeper Tevita Koroi included in the 30 member Vodafone Fiji National squad. Koroi wants to play for the national team as a number of international friendly matches have been lined up for this year. 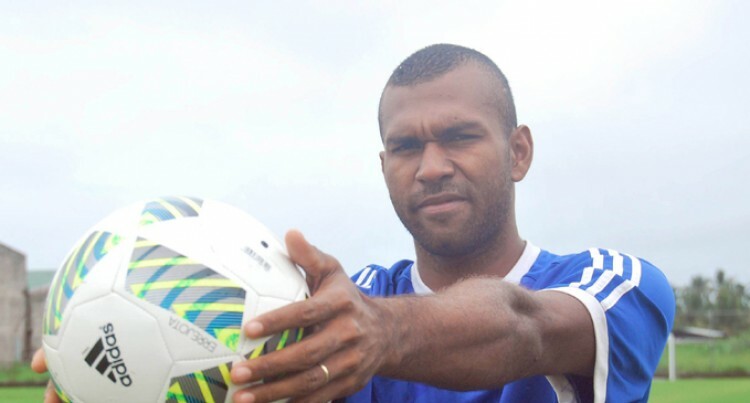 Playing for Suva, Koroi was the team’s second choice goalkeeper. It was during their pool opener against Rakiraki when first choice goalkeeper Emori Ragata was red carded. Koroi stepped in and took his chances. He made some courageous saves and performed to his best during the Vodafone Fiji FACT which caught the eyes of the selectors. He said he always wanted to be in the national team and he was proud to be selected in the team. “It has been like a dream come true for me,” Koroi said. He said he was grateful to the national coach Christope Gamel for recognising his talent and named his to be part of the national squad. The Vodafone Fiji FACT player of day two said nothing was impossible. “It is every player’s dream to play in the national team,” he said. The players he said were ready to put their hands up for selection and he knew it would be not easy but did his best to be in the team. Fiji will be playing Estonia, Indonesia, New Caledonia and Solomon Islands. This was confirmed by the Fiji Football Association president Rajesh Patel. There were also high possibilities for Fiji to play Singapore and Thailand as negotiations are still going on with those countries. Fiji hosts Solomon Islands in a two- match friendly with the first one to be played at the ANZ Stadium in Suva on Thursday at 7pm while second match on Sunday at 3pm at Churchill Park in Lautoka.